It’s a busy spring in Cardiff. Girls Aloud, Robert Plant, Mark Knopfler and X Factor are live at the Cardiff International Arena. So too are Katherine Jenkins, the opera star, and Darcey Bussell, the prima ballerina, who are coming together for a unique show. And at the National Museum Cardiff, the work of nine contemporary visual artists from around the globe is on display, all competing for this year’s £40,000 Artes Mundi prize. 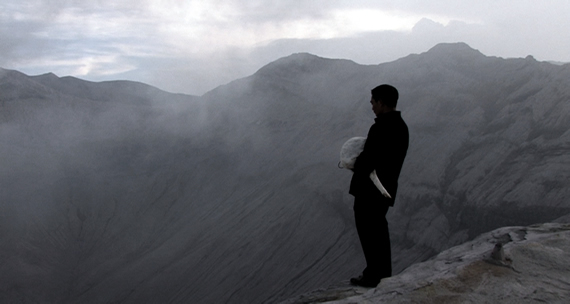 Now in its third season, Artes Mundi is Wales’ biennial contemporary visual arts initiative. It celebrates artists who have achieved recognition in their own country and are emerging on the international stage. One of this year’s artists, Lida Abdul from Afghanistan, for example, has recently had a video screening at Tate Modern. And another artist, Mircea Cantor from Romania will be showing at New York’s Museum of Modern Art in April. Images of the human form and humankind are central to the initiative and it is interesting to see at the show how the artists from such disparate countries as Australia, Brazil, India, Mali, and elsewhere interpret this theme with their own political, personal, cultural or environmental twist. Abdoulaye Konaté, for example, questions the political, social and economic scenes in contemporary Mali by depicting the devastating effects of war on its society and individuals. Vasco Araújo from Portugal uses cultural stereotypes, political characteristics as well as sexual identities to explore ideas of community and marginality. And Susan Norrie from Australia sums up the effects of the environment in turmoil in her work, Havoc. The resilience of people across the world is apparent throughout - albeit in the face of conflict, environmental disaster or simply going about their everyday life. The show also offers fresh insight into the cultures of the various countries. 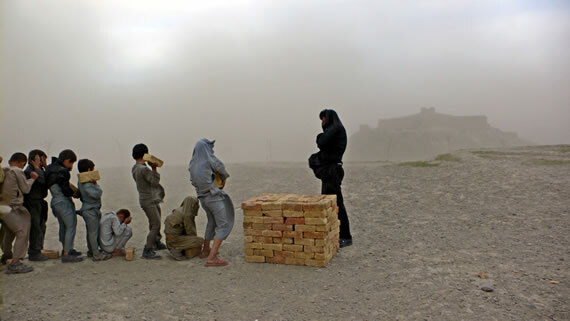 Lida Abdul’s performance and video art such as, The Brick Sellers of Kabul, shows the physical and social changes that are taking place in Afghanistan as she divides her time between Kabul and LA. 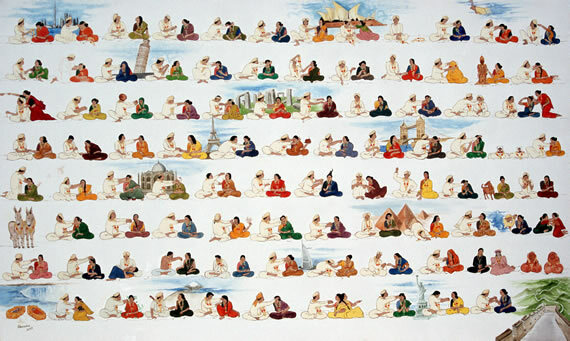 Similarly the paintings and installations of India’s N. S. Harsha present a playful but ironic view of events such as Mass Marriage and We come, we eat and we sleep. Photography and video art dominate. But there are also large-scale installations by Araújo and Norrie, painting by Harsha and magnificent textile-based work by Konaté. “Many of the artists use photography and video as they are easily available. Similarly, Konaté uses textiles because canvas, acrylic and paints are harder to obtain in his native Mali,” says Jackson. The winner of Artes Mundi 3, 2008 will be announced during the lifetime of the exhibition on 24 April 2008 at the National Museum, Cardiff. One of the jurors will include the Chinese artist, Xu Bing, who won the first Artes Mundi in 2004. According to Jackson, he used his prize to help build a new studio in Brooklyn, New York where he has lived since 1993. Xu’s life seems to have gone full circle. He has recently been appointed as vice-president of the Central Academy of Fine Arts in Beijing, where he studied from 1977 and later taught. These Artes Mundi artists are certainly ones to watch.